Typical 3-bedroom, 2-1/2 bath suburban dweller that I am, space always seems to be at a premium at my house. Tonight I tackled a couple of simple girl’s room challenges – scarves and headbands. Sounds silly, but until you’ve had to sort through a wad of scarves knotted up in a drawer, shoved under a bed, or otherwise situated where they aren’t easily retrieved, it’s a big deal. 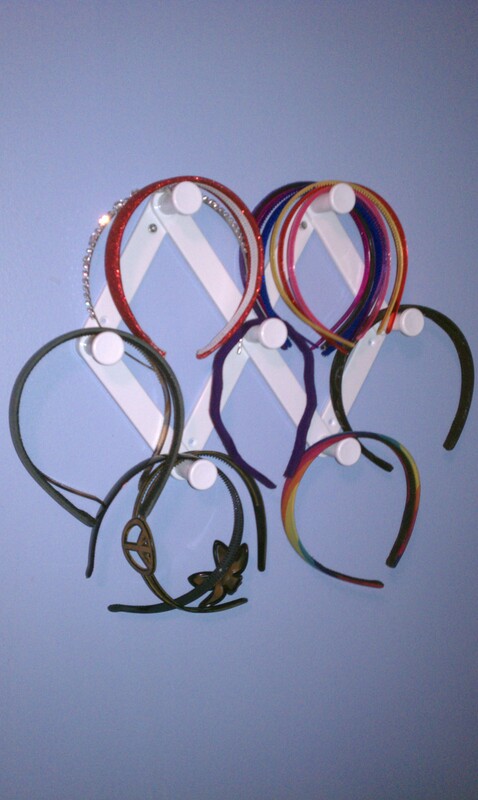 Same with headbands and various other hair accessories. 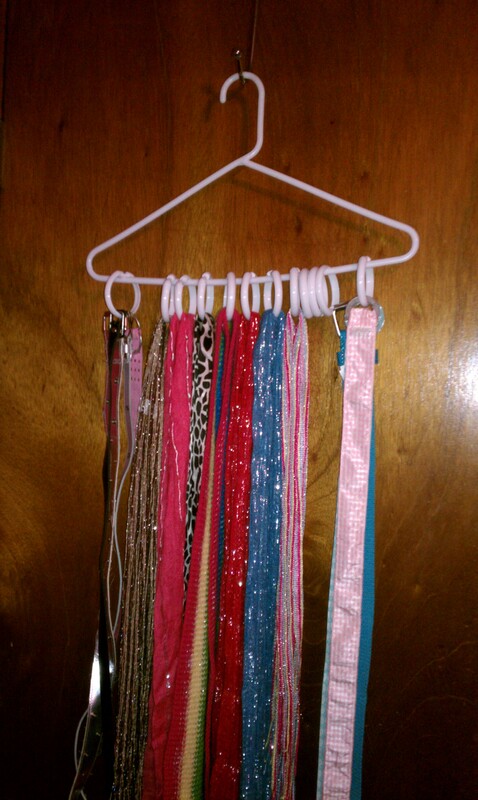 First, the solution for easily accessible scarves (and belts) as it turns out is a hanger and a set of $1 shower curtain rings. Add another $1 for the optional handy, dandy over the door hook and you’ve also got the beginnings of a cute, decorative element in the room. Now headbands. I only bought one tonight, but I see a couple more in my future. The solution? Expandable hat/coat rack. Also $1 at the dollar store. I’ve seen this idea used for jewelry also.